You can find Wendy here and here on Ravelry. Where did the idea for yarnsub.com come from? 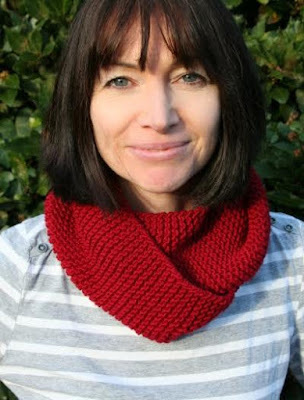 I mentioned to my husband, David, that I had looked for a yarn substitution website, feeling sure that one would exist, and was surprised when I couldn't find what I was looking for. I wanted to be able to look up a yarn and see what was available that was similar to it. He's a computer programmer and knew that I was looking for some way of working from home while our children are young, so he said that we should make a site like that ourselves! I thought we might be biting off more than we could chew, but I was also excited to think that we could provide a useful service for knitters and crocheters. It took longer than we first anticipated, but I was really happy (and scared!) when we put the first beta version of the site live. How do you go about researching all of the yarns in your database? I make a lot of swatches! I love swatching a new-to-me yarn and getting a feel for its properties. 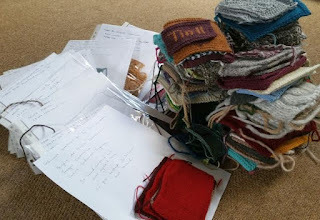 I haven't tried every yarn in the database - we hold details of over 8000 and even I can't quite bring myself to swatch them all! So I used what I'd learned from the swatches (and many years of knitting) to help David write the program to score how well one yarn matches any other. I provide details to the YarnSub software about a yarn's fiber content, gauge, yarn construction and density, and it does the rest. There are still improvements that I'd like to make, and any mistakes in the data can cause problems too of course. I welcome emails from knitters or crocheters who tell me where a suggested substitute doesn't seem right, so that I can try and fix it. Please tell us about your husband's role in running the site. Like I said earlier, he was very involved in making it happen - not only writing the software, but also believing in my ability to pull off the yarn side of things and write articles for the website. He also loves graphic design, so looks after the look-and-feel of YarnSub too. 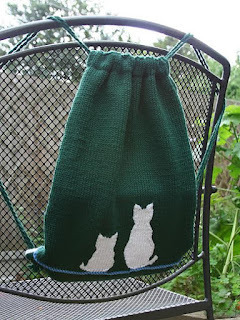 Do you have plans to monetize YarnSub? We have affiliate links on YarnSub, so we do make some money from it. Being able to work from home and having flexibility to work around the needs of my two boys feels like a huge privilege at the moment. It's not all plain-sailing, as there are certain times of year - like when manufacturers release the next season's yarns - that there's an avalanche of maintenance to do. And I have to get through a great deal of procrastination before I can write the newsletter!! But generally working on YarnSub is a joy. What kind of feedback are you getting from knitters who use the site? Sometimes people ask me to add specific yarns or brands to the site, or tell me about a problem with our yarn data, or ask why a particular yarn isn't showing up as a closer match. The fiber community are a very supportive bunch though, and even people who point out something they don't agree with usually say that they love the site! I do get the odd terse email, but mostly people tell me how useful they find YarnSub and that they're very glad it's there. I'm always pleased to have an opportunity to improve it, and I really appreciate when people take time out of their day to get in touch. It's hard to pick just one thing. I love the fact that I can dream something up in my head and then translate that into an actual thing. I love the connection between the yarn in my hand and the people and animals involved in its production. I love the knitting community and how you can sit down with a knitter and chat non-stop - or just knit, and either is wonderful. I love the never-ending learning opportunities, whether it's picking up a new technique, learning about a new yarn, or finding out what other knitters are up to. I love the fact that I can combine it with watching the TV or travelling on public transport and feel that I'm also doing something productive with my time. But if I were forced to choose just one thing, I think it would be the feeling of calm that settles around me every time I pick up my needles and start knitting. My world is okay when I'm knitting. I am a bit obsessed with shaped intarsia, where you create smooth outlines to an intarsia motif by increasing and decreasing either side of the color change. I'm really keen to release some designs using that technique. And of course I'll continue to work on YarnSub - adding new yarns, writing articles for the newsletter and making improvements wherever we can.